Print your local photos as posters! Ready for same day pick up at Walgreens and Duane Reade. Direct from your phone or tablet. Set your photos free! Poster Print by Printicular is the most direct way to print. Great for gifts, art projects, or just to ensure your photos are kept safe and sound. Enjoy. 30% OFF COUPON FOR WALGREENS PRINTS - STORE PICKUP ONLY - WALGREENS COUPON CODE: MEAM + Send Your Local Photos to Walgreens For Pick Up same day! Print Your Memories. Great for Gifts. Send photos directly from your phone, or tablet to your local Walgreens. No need to sync with your computer. No need to transfer images from your device to another application. No Login or Passwords required! 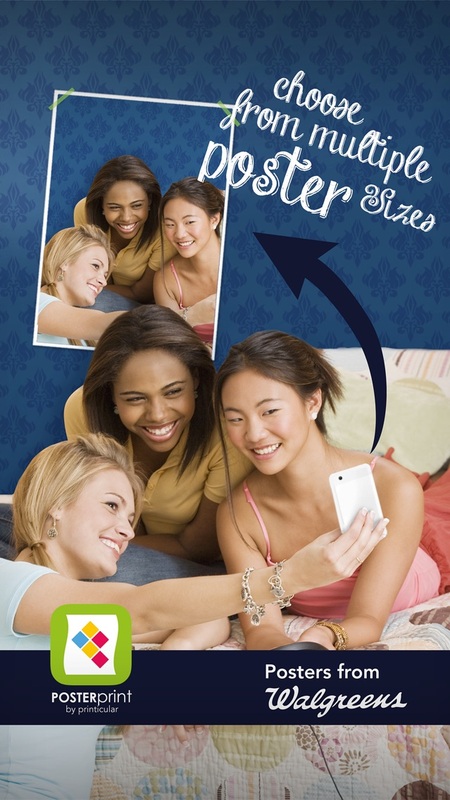 Poster Print by Printicular enables you to easily choose pictures from your local photo album to print as posters! 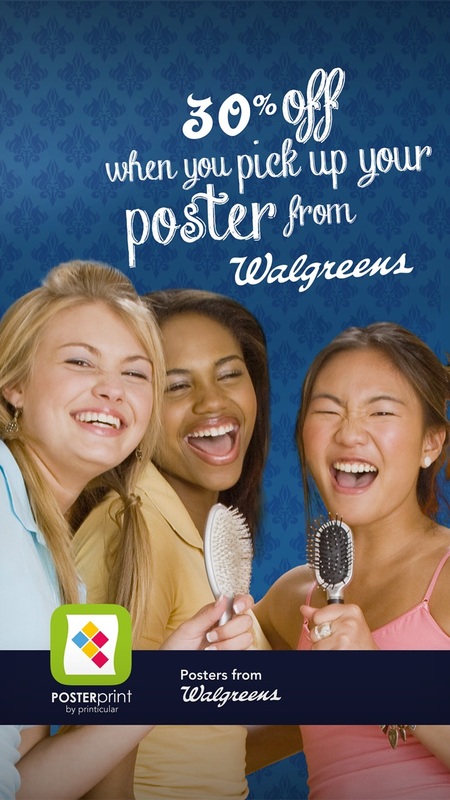 • Send Photos to Any Walgreens Location • Turn Your Photos into Posters! • Pick Up Same Day! 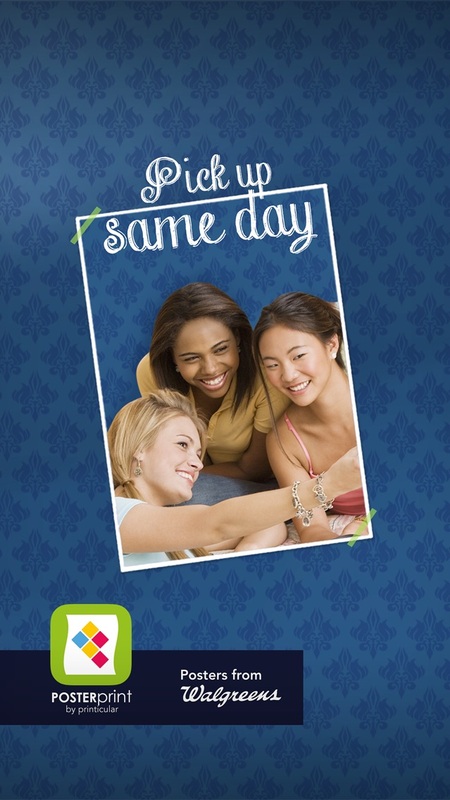 With just a few taps you can select your pics, select the quantity and then pick them up at your local store. 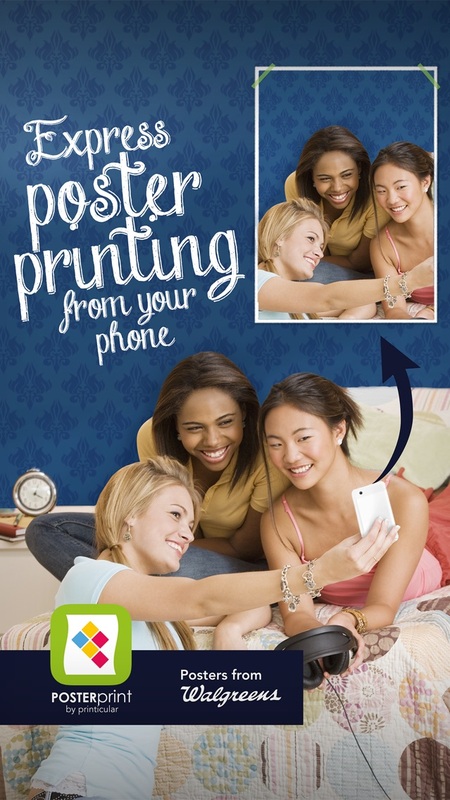 30% Off Coupon at Walgreens Prints - Coupon Code: MEAM Coupon code valid for a limited time on the Walgreens Mobile Partner application only. Code must be entered in the mobile app quick prints checkout flow to apply discount. Timing will be determined by Walgreens server clock. Discount does not apply to previous purchases or taxes. Cannot be combined with any other offer. Walgreens reserve the right to expire the offer at any time. In store sales associates reserve the right to monitor and prevent offer abuse. Perfecto para la promoción de mis productos. Other than cropping no other edit capabilities are available such as text. Great sizes to cover an empty wall! !